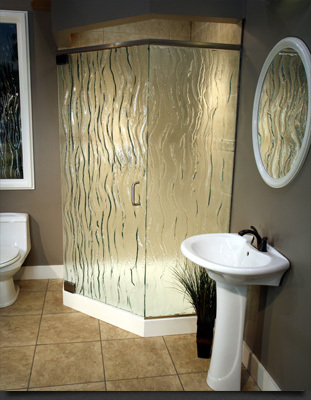 Your Cardinal Shower Enclosures are made of tempered safety glass, durable hardware, and the finest aluminum. With the proper care and maintenance, your Cardinal Shower Enclosure will provide a lifetime of use. Cardinal Shower Enclosures does not recommend the use of harsh abrasive cleaners on any of its products, as they may damage the metal or glass finish of your enclosure. This warranty extends only to the original owner/end user and for personal household use only. This warranty is non-transferrable. Additional limitations may apply for commercial use. Cardinal Shower Enclosures warrants to the original owner/end user, the aluminum and vinyl extrusions and hardware for your tub or shower enclosure to be free from defects in materials and workmanship. This warranty does not cover any claim arising from abuse, misuse, negligence, leakage, abrasives, accidents, improper installation or operation, or natural disasters. The laws and regulations that govern the installation, design, and use of the shower or tub enclosure vary widely. Cardinal Shower Enclosures does not control the selection of product, configuration, actual installation, operating hardware, or glazing material, and therefore does not assume any responsibility thereof. Cardinal Shower Enclosures reserves the right to modify this warranty at any time, and the consumer understands that such modification will not alter the warranty conditions applicable at the time of the sale of the product. Glass surface protection systems are not covered under this warranty, but may be covered under another warranty.